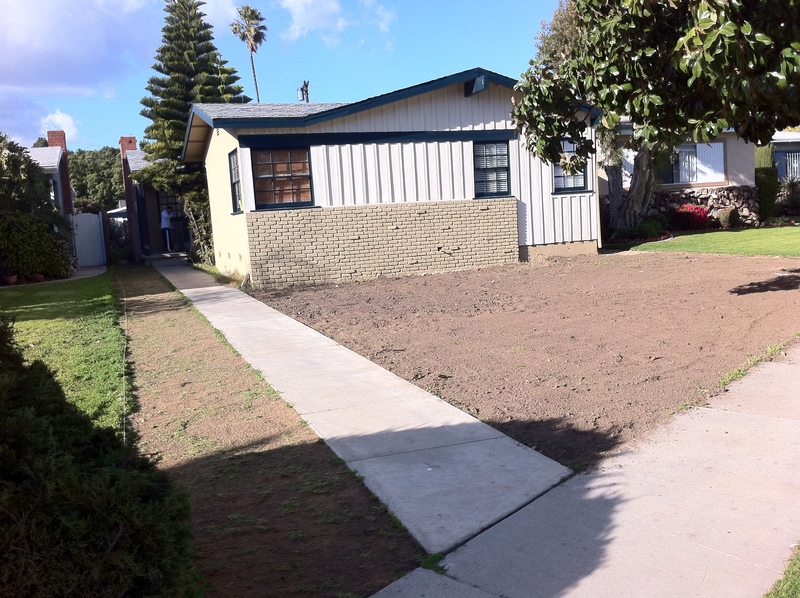 The last two days saw some big changes in the front yard of the garden site. 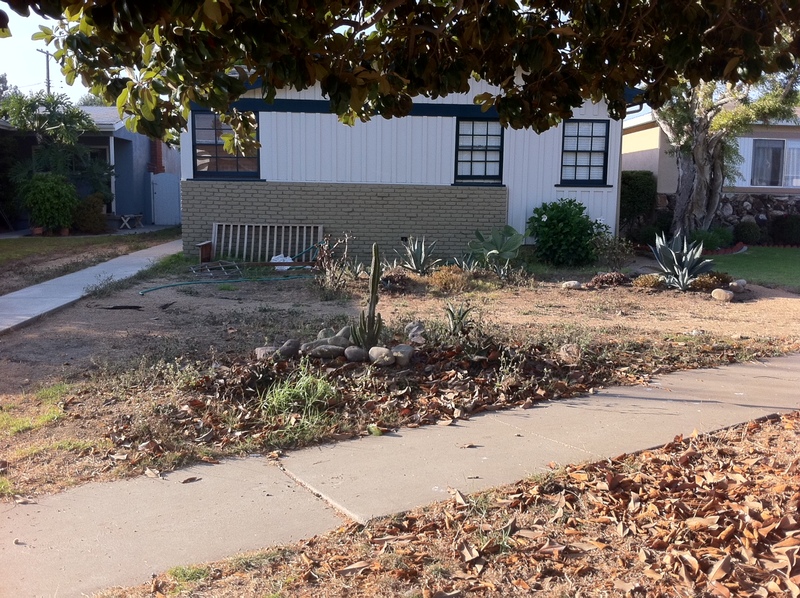 I removed all of the existing plants and grated down the hills of dirt. I have to say, I was not able to accomplish this big task alone. The owner of the home had a friend and his daughter visiting from Virginia on vacation. They saw what I was doing and offered to help. They were amazing! SUCH a big help. 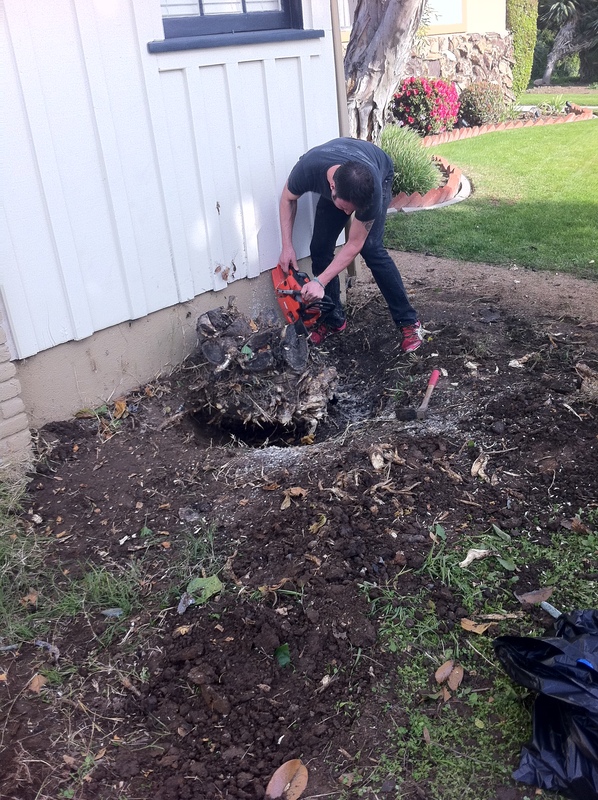 Mark busted out the chainsaw and, with the help of Julio (another garden helper), they were able to get this giant stump out. 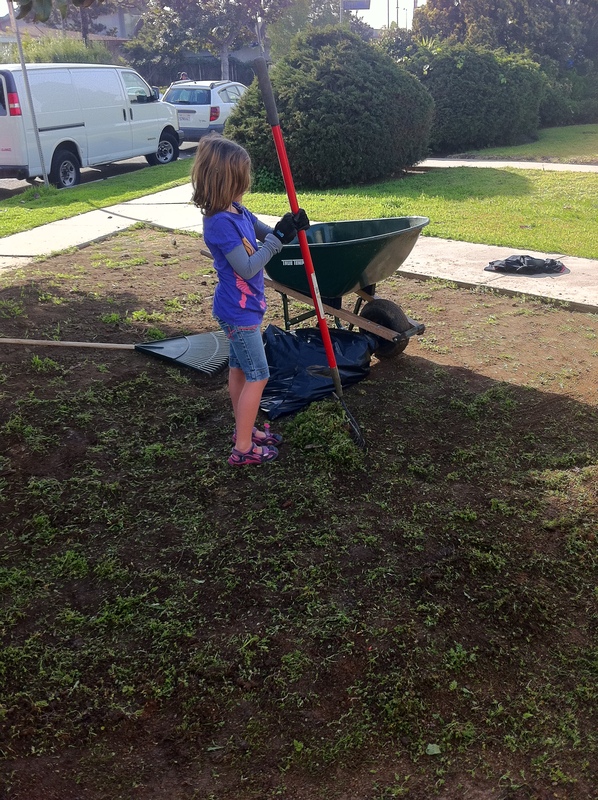 And Camille was a pro with the rake! 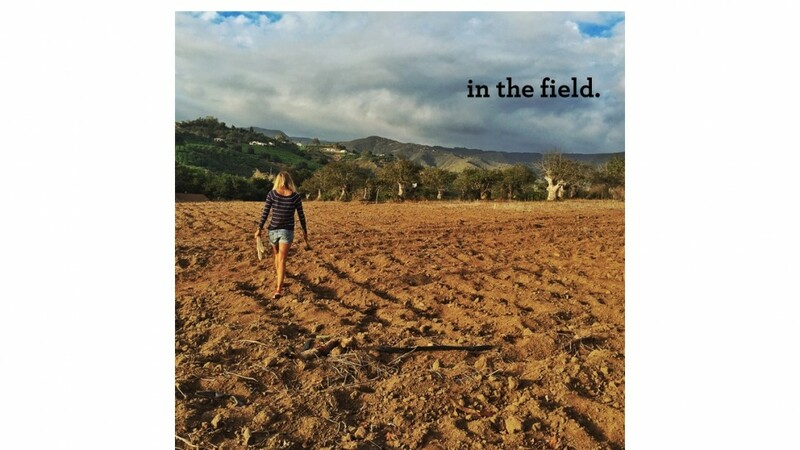 It is humbling that complete strangers were willing to put in a few hours of hard labor for nothing in return. I think I would still be out there trying to figure out how to get that stump up. Now that everything is level I can start staking off the borders for the raised bed locations and take measurements for lumber. wow! this project is already amazing. looking forward to seeing it unfold. what a gift!!! Thanks Anita! Please come by and visit soon, I’d love to say hi!